Time and time again the legal gun owners in South Africa have to take the blame for the violent crime, gender-based violence, gang killings and any other crime the anti-gun lobby and their lapdogs want to throw at our feet. On Sunday, City Press published an article, “Guns do kill people. We need to amend the law”, written by Koketso Moeti. 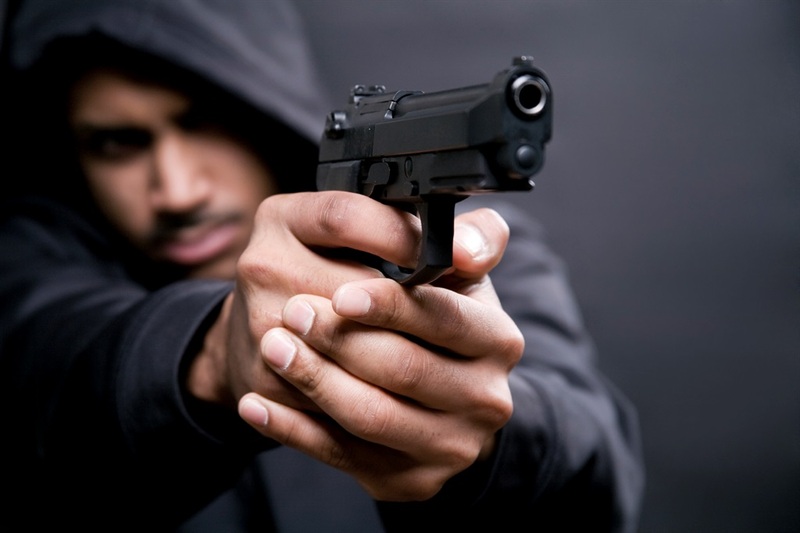 Koketso started the article with two examples why guns are to blame for crime. Let’s just break that down. The murder of Peter Mihalik, the infamous attorney who represented many underworld characters in South Africa. The narrative pushed by Koketso is that guns are to blame. Seriously? Do you honestly believe the people responsible would not have used a different method if they did not have guns? Did she consider that maybe, just maybe, Peter`s involvement with notorious criminals may have led to his downfall? Clearly not because it’s the gun’s fault. Various men shot and killed in Nyanga and Manenberg. Both are notorious gang-ridden areas. Fun fact: Nyanga leads the stats in South Africa for house robberies. There is of course no mention of unemployment, poverty, lack of father figures, drug use, low education levels, broken families, ridiculously bad policing and various other socioeconomic factors. Nope, it’s the guns, people. Then she mentions a few little brown nuggets of ignorance and stupidity. Uhm, ja, sorry but the act was only implemented in 2004 and violent crime was already in decline well before that. Attached is a graph for your convenience. Gideon Joubert from Paratus, a gun-ownership platform, breaks it down even more. The South African homicide rate peaked in 1991, at just below 79 homicides per 100 000. It then started a long-run downward trend throughout the 1990s and early 2000s. The vertical red line represents the Firearms Control Act becoming law in mid-2004. We can make several interesting observations from this graph. • Similarly, the murder rate began increasing sharply after the 2010 National Firearm Amnesty. This is a correlation, and not necessarily a causal factor. 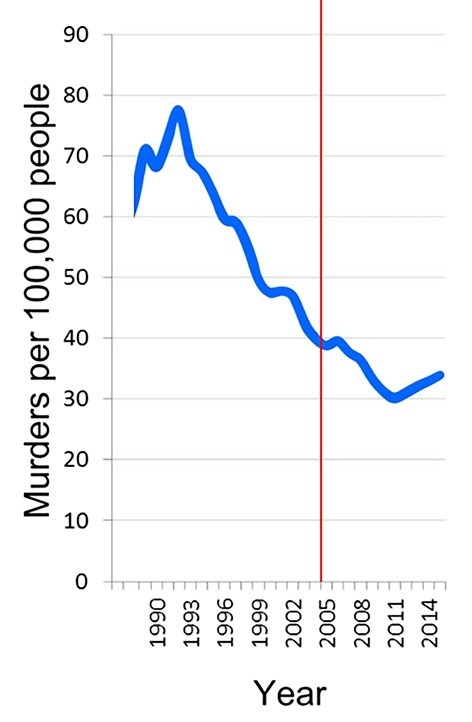 The murder rate was declining perfectly fine before the act was even written. Clearly other factors were also at play here. In fact, the only notable reversal of our homicide rate in 20 years (2011) happened after the Firearms Control Act became law. So much for the assertion that the act would be the panacea for our violent crime rate. So what she is saying that because a piece of plastic has got a date on it that person is now a criminal and should be prosecuted. But, what if your car licence expired? By her reasoning you should also be arrested as you are also breaking the law. What about TV licences? What if SAPS did not want to accept applications? Or the person was out of the country? Well it doesn’t end there. She claims civilians are the biggest source of illegal guns. Once again some research would have helped. First, the civilian figure includes security companies, which greatly inflates the figure. You are welcome to read the complete breakdown on the stats here but in a nutshell the South African Police Service loses about eight times more guns than civilians and their recovery is 15 times greater than SAPS firearms. And you know what? None of these stats matter. We can sling facts and figures at each other all day long. In all my years in the gun lobby I have never, not once heard any anti-gun activist come up with a solution for personal protection should they get what they want. The average response time in South Africa for the police is 19 minutes yet we are not allowed to protect ourselves according to Koketso. So my question to you Koketso, so what is your plan? I am all ears. • Rouen Heiberg is a active gun-rights lobbyist and spokesperson for Gun Owners South Africa.